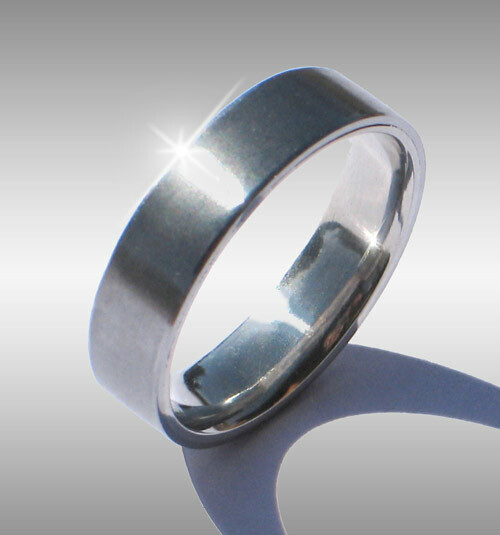 Style #032: Seamless, flat-topped Gibeon Meteorite Ring with Platinum Lining and brushed finish. This elegant ring is crafted from a solid billet of Gibeon meteorite. Shown in a size 12.5 by 6.5mm width. For current pricing please enquire!